At embedded world this year there were some people muttering about the ownership of Electropages.com by Mouser. I have taken some time to write about this, as I wanted to get my facts right, and I'm pleased to say Electropages and Mouser were both very open and helpful when I asked them about the situation. Electropages was formed when Craig Dyball approached Brian Butler back in 1999 with the idea of creating an online publication for the electronics industry. The publication grew and developed, with a large proportion of their advertising revenue being driven by distributors, and in 2015 they made an eye-catching appointment by bringing highly-respected journalist Paul Whytock into the team. 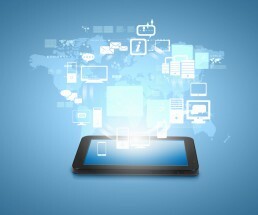 They’ve also been very proactive in developing apps for both iOS and Android. It sounds like a nice little publishing business that frankly has done rather well over the years. But that’s not quite the full story. Back in 2014, the company was quietly sold. Quietly sold to Mouser: a direct competitor of many of the bigger advertisers on the platform. Today Mouser owns all the shares and has the only directorship in the company. Yet it’s my understanding that some of the best customers of Electropages were completely unaware of the fact that they are doing business with a company owned by a major competitor. There is nothing wrong with a distributor owning a publication. Although they didn’t necessarily make a lot of friends with their acquisitions in the USA, it’s arguable that Arrow helped secure the future of the publications they bought, as they were not particularly loved by their previous owners. Arrow was very up front about their acquisitions, whereas Mouser have been rather secretive, raising questions about possible conflicts of interest. To be fair the ownership has not been hidden when it comes to records at Companies House. It’s pretty clear who owns the company, but you do wonder why both Electropages and Mouser omitted to actually tell anyone of the change of ownership. I can certainly understand that they didn’t want to upset the advertisers, and any discussion would potentially raise questions about the future of Craig and Brian at the company, but it seems obvious that not being as open as they could be would only cause bigger problems when the news finally got out. There is no suggestion of the companies doing anything wrong, but it doesn’t feel right. Although Electropages has definitively told me that there is no sharing of data with Mouser, the lack of openness fueled concerns like these during embedded world. "Mouser confirms that Electropages, the UK-based digital marketing business, is a wholly owned subsidiary, and this has been a matter of public record since the acquisition three years ago. Electropages runs, like so many other Berkshire Hathaway companies, as a totally independent business. 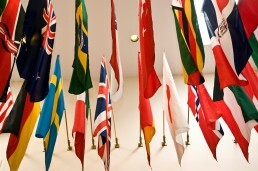 Both Mouser and Electropages serve the electronic design community worldwide. Mouser’s goal is to be first to make new electronic products and technologies available to its customers and to offer the widest choice from leading manufacturers. 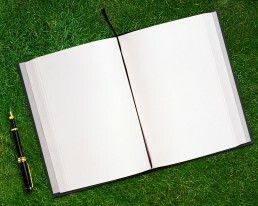 Electropages’ goal is to be first to communicate news of new products and technologies, so there were clear synergies. Electropages runs as a fully independent business under its founder, Craig Dyball. The acquisition by Mouser provided him with the financial resources to develop the site, adding further value for its readers and advertisers. The growth of Electropages, which now has over 97,000 subscribers, an increase of 80% from three years ago, attests to the ongoing success of his strategy." What’s the future for Electropages? Despite feeling unhappy at the way they kept people in the dark over the site ownership, I’d like to believe that there is nothing to worry about and that the site will continue to grow and develop. They’ve been one of the more innovative publications, and I’d love Mouser to support them to become bigger and better. Perhaps their biggest challenge is convincing the direct competitors that advertise on their site that there is nothing to worry about, and that the businesses are independent. At this stage, however, it is clear that the advertisers haven't fled the site, so I'm hopeful that Electropages will continue to have positive momentum and remain one of the publishers with the most innovative approach in our industry. Electronic Product Design and Test has recently employed Sam Holland as their new assistant editor. 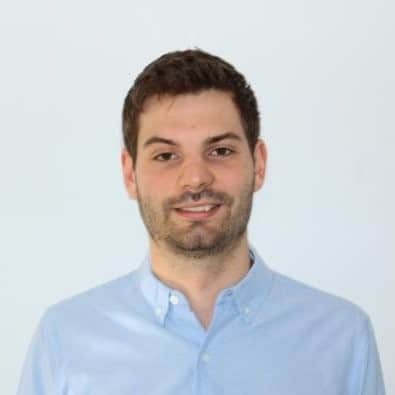 Sam is an English Literature graduate from the University of Portsmouth, and has strong background with admin, publishing and editorial experience. As someone who describes himself as a determined person, we know Sam will be a perfect fit for Electronic Product Design and Test (EPDT). 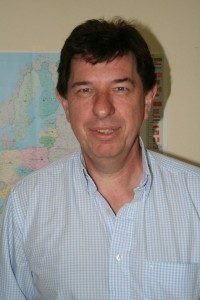 Congratulations to Alix Paultre who has been appointed as the new European Editor of OpenSystems Media. Alix is taking over from Rory Dear (who is focusing on the commercial side of the business), and will help OpenSystems Media expand their reach into Power and Analog, as he will handle not only European content but also Embedded Analog and Power coverage. Alix is hugely passionate about technology, having experienced many different industries across the technology market. 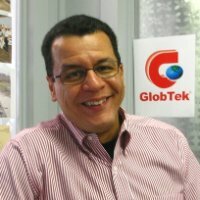 For the past 20 years, he has worked with several media companies including Electronic Products, Advantage Business Media and most recently, Power Systems Design. 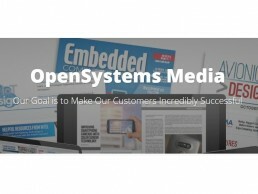 As one of the last remaining independent media companies, and a leading publisher of electronics magazines, OpenSystems Media believes Alix will be a great fit to their team. Rich Nass, EVP of Embedded at OpenSystems Media, defines Alix as a long-time industry veteran, and is excited to have someone of Alix’s caliber on his team. Alix current resides in Wisebaden Germany, and is looking forward to contributing a regular column on power and helping continue OpenSystems Media’s growth in Europe. He recently left his previous role at Power Systems Design (PSD) after several successful years, and we understand that the search for his replacement at PSD is well under way. We wish Alix the best of luck in his new role. Following on from the recent announcement of an embedded area, What’s New in Electronics Live (WNIE), which will be held from the 9th-10th May at the NEC in Birmingham, has announced plans to hold their first Innovations Forum. The inaugural innovations forum will discuss ‘Open Innovation as a New idea, Device or Method. Driving towards 2020, what does innovation mean to you and your business?’ With plans to encourage professionals to take part from all different aspects of the supply chain, I’m sure this discussion will not fail to grasp the attention of industry experts. It will be held on May 10th, from 10.00-12.00 and will bring together five key industry professionals, who will give a concise innovation technology focussed presentation, and will be covered by key members of the media. With the forum’s main focus to transfer knowledge and improve competitiveness surrounding the key strengths of the UK, it is no wonder the seats are filling up fast. 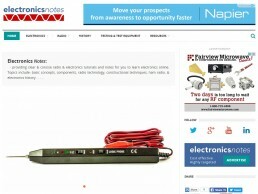 Electronics Notes is a web based online resource platform which provides radio and electronics tutorials and notes which aims to teach and help their audience learn about electronics. The site, which has only been live since October last year, is now serving over 100k page views a month, and is continuing to see an increase in the amount of traffic on the site. Electronics Notes, is adding new resources regularly and have developed their own YouTube channel, which already has 500 subscribers after only 3 and a half months. It is nice to see that experts, and professionals alike are taking advantages of these resources available to them, and as Electronic Notes continues to rise in popularity, I’m sure more people will become aware of how vital sites like these are to helping the electronics industry grow and expand. EETimes Europe and EDN Europe have rebranded to eeNews Europe and eeDesign News. In this interview, Andre Rousselot explains the reasons behind the rebrand and talks about the future of the two titles. Why do we need a rebranding? The rebranding is required because of Aspencore’s decision not to renew the licence agreement between UBM and EBP originally signed in 2009. This licence agreement has been very successful for UBM as it has established the EE Times and EDN brands in Europe at no cost for UBM. However, the rebranding will give EBP total control on its publications once again. The acquisition of EETimes and EDN in the USA and Asia by Aspencore has also resulted in the cancellation of a long-term content sharing agreement and a long term sales agreement. Content sharing: this agreement was beneficial to both parties as it allowed our European Editors to repurpose US generated contents and both US and Asian Editors to repurpose content generated in Europe. In the past few years, after the folding of print editions in the USA, the content stream towards the USA was far greater than the reverse flow. How much did you own of EETimes Europe and EDN Europe? We own the circulation database and website; the only thing we licenced was the brands. I'd already made the decision to not use eetimes.eu a few years ago: at that time UBM's intentions weren't clear and I wanted to control the URLs for the publications. [note - at the time I questioned the logic of using the new URLs for EETimes Europe, but now it's clear that Andre was right and I was wrong!]. We have given Aspencore the European URLs so they can use them in the future, if they want (e.g. eetimes.eu, eetimes.co.uk). Why did Aspencore buy EETimes and EDN? According so senior sources at Aspencore, the official reason is to keep publications alive to inform engineers around the world. The reality may be far different as it appears that Aspencore guided by Arrow ( the owner of Aspencore) to create a monopoly of publications in key markets such as the USA and Asia. In the age of Big Data, correlating audience data of publications and websites with customer data of a large distributor is a big temptation especially when you own both! How are EBP’s products affected? Publications: except for the name change to eeNews Europe and eeDesign News Europe, nothing will change as EBP is and remains the unique owner of the reader data bases of these publications. Websites: the websites will use new URLs and the old URLs that remain the property of EBP will be forwarded to the new URLs, eenewseurope.com and www.eenewsdesigneurope.com respectively. Has the rebranding driven changes to the editorial teams? 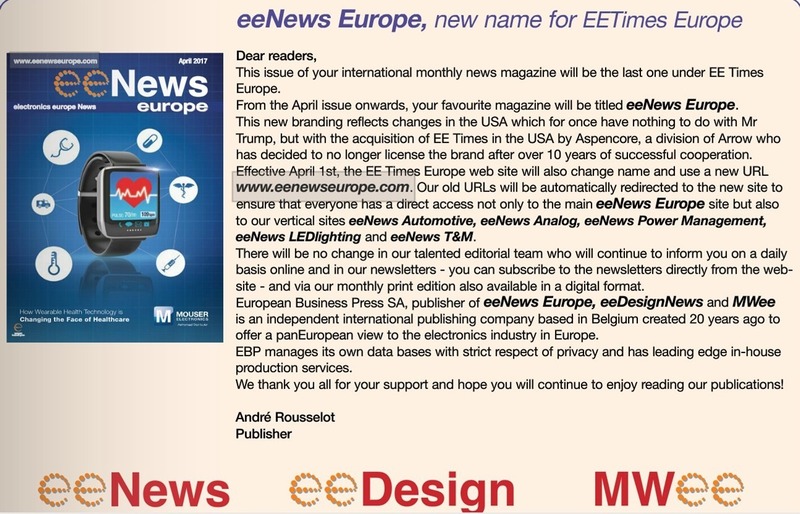 Any plans to return to print: for example with eeDesign News Europe? We have no plans to print either of the titles. The digital magzine generates revenue and is reletively low cost to produce - certainly lower than print. If we have opportunity in the future, then we will look at print, but I think it's unlikely that returning to print would be possible. When is the official date for the rebranding? Where can I find the new media data ? Just over a month ago, LinkedIn started gradually rolling out its new desktop experience. This redesign was prompted by user feedback in an attempt to make using LinkedIn a faster and more intuitive experience and to be more consistent with the mobile app experience. As part of this project, LinkedIn has changed the way sponsored content will be displayed. With sponsored content providing the best ROI on LinkedIn for B2B marketers (according to our data), it's important to understand what the changes will mean. What’s new for LinkedIn sponsored content? Navigation has been simplified and on viewing user’s profiles, the new ‘highlights’ section makes it easier to see mutual connections, group memberships and employment history users might have in common. 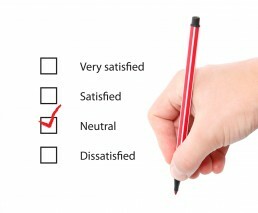 Why does this affect B2B marketing? As a part of this shake up, Sponsored Content ads will be displayed in a different format ‘for an optimal viewing experience’. This change means that Sponsored Content ads will appear larger in the news feed, meaning that images are more important than ever. 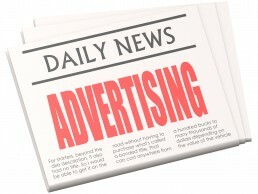 In addition, sponsored content ads will no longer display description text. The removal of description text means that marketing messages in the introductory text need to be even clearer. 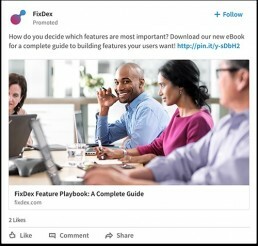 When including links to landing pages or website pages, the sponsored content post title and image will be automatically scraped from these pages, so you need to ensure that your web content on these pages is relevant to your post topic on LinkedIn, if you’re sponsored content is to be effective. If needed an image can be manually uploaded and added to your sponsored content post, ideally with a pixel width of 200 or more. If the image is smaller than 200px, it will display as a thumbnail on the left-hand side of the introductory text. With the loss of description text, marketers have even less space to communicate. Although a LinkedIn post can include up to 600 characters, sponsored content posts only display the first 150 characters. If the text exceeds 150 characters, the post text will be truncated and "...read more" will be displayed to continue reading the remaining text. This is true for desktops but mobile devices may truncate the text earlier. Landing page URL’s are also counted in the total number of characters and those over 23 characters are shortened by the LinkedIn shortener, this is especially worth noting if you are going to the effort of using a vanity URL. With the reduction in available text space, compelling and relevant copy (and landing page) is a must, if sponsored content posts are to be successful. To learn more about using LinkedIn, contact Napier or download our guide to creating the perfect LinkedIn company page. 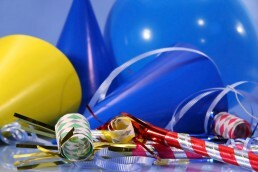 Congratulations to Electronics Bulgaria who are celebrating their 5th Anniversary, having launched in 2012. 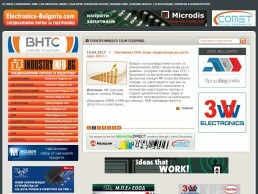 Electronics Bulgaria is the largest Bulgarian web portal for Electronics, providing specialized information on products, technologies and know-how services for the industry. It provides daily, up to date expert and valuable information for professionals working in the industrial sector in Bulgaria. As one of the 11 specialized portals in the group IndustryInfo.bg, which holds 90,000 monthly readers and 20,000 subscribers, the Bulgarian web portal has become a popular and very useful source of information for professionals. Due to Electronics Bulgaria’s content and focus, the portal has been formed as a unique media channel connecting specialized companies with their target audiences. We wish Electronics Bulgaria the best of luck for the future, and may their success continue. 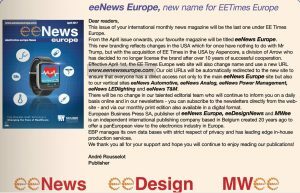 EE Times Europe will be rebranded eeNews Europe, while EDN Europe will become eeDesignNews. The editorial teams for the European titles will remain unchanged, and we're not expecting any major changes to the titles. The vertical sites published by EBP will also be renamed with the "ee" branding. So we will be seeing eeNews Analog, eeNews Automotive, eeNews Power Management, eeNews LED Lighting and eeNews T&M sites launched (with the same content as the previous websites). The official switch of brand will be on 1st April 2017. We're hoping to get an interview with EBP's publisher, Andre Rousselot to find out more. We'll also be talking to Aspencore at embedded world to find out whether they have any plans to use the EE Times and EDN brands in Europe. Of course the driver behind the change is Arrow's acquisition of the UBM titles. I think it's hard to read too much into the move: frankly I would have been surprised if they didn't stop licencing the brands. We can guess that the media acquisition fever that Arrow had isn't going to be quite as virulent this side of the Atlantic (surely EBP would have been an obvious acquisition for them?) and of course Arrow clearly does want control of the titles they own. What’s New in Electronics Live, the newest event of 2017, will be held from the 9th-10th May at NEC Birmingham, offering the opportunity for visitors and exhibitors to network with key decision makers and experts from the electronics industry. The unfortunate cancellation of the 2017 UK Device Developers Conference, left the software and chip arena without a platform within the UK. With many experts from this area keen to make impact on the UK, the What’s New in Electronics Live have decided to add an Embedded and Developer area to their event. This area will be formed through a mix of technical content, stand space and smaller showcase pods, to ensure the platform is successful in engaging its visitors. Pricing for this particular area has also been reduced, to encourage companies to participate and support this area by showing their products, and speaking and reaching out to other members within their network. There has already been huge support received, with companies such as Hitexd, Lauterbach, Vector and Phaedrus already committed to being involved. 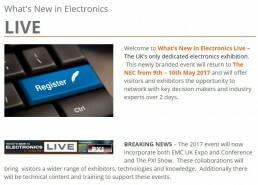 The organizers of What’s New in Electronics Live also have a large database, which is currently reaching out to over 75,000 email addresses and 8,500 social media followers, in an attempt to interest and encourage more companies to take part. At Napier, we take a keen interest in knowing the future of the technology industry, from marketing to the publication world, so at the end of 2016, we launched our B2B Tech Publications Outlook 2017 survey. Our aim was to gather a deeper insight into Tech publications plans for 2017, with an interest on their view of the importance of social media, native advertising and print magazines. The data collected from several tech publications proved to be surprising, presenting the respondents as finding it tough to be innovative and grow with new digital technology. A surprisingly strong consensus was that print magazines will still be very important in 2017. Although digital media consumption is continuing to grow, European publishers are still making good money from print. The results also showed tech publications are reluctant to use social media: when asked if social media would be important to their publication in 2017, only 50% of respondents believed it would be. This is an unexpected result, suggesting tech publications feel no need to change their ways, and in fact are quite happy taking a traditional approach. Interestingly, our results revealed that Tech publications believe native advertising will grow faster than social media. When questioned how important social media and native advertising will become in 5 years, native advertising was favoured as being the most important to tech publications. For 2017, tech publications continued to surprise us with their main priorities. Increasing revenue from data was the lowest priority for tech publications. Many also believe that their main source of website traffic, Google, will not change in 2017, suggesting that their newsletters and other promotions are less effective than search. It is worrying to discover that B2B tech publications responses for 2017, are only vaguely different from what they told us in the previous year, 2016. It seems Tech publications do not value increasing their focus on social media. Their main focus continues to be their existing data base, new readers primarily are coming via Google searches (which means they are unlikely to return unless the publication shows up in a future search), and they view data as their least important priority. It is tough for Tech publications to balance everything that could potentially help them, but I am confident, that when they feel the time is right, B2B tech publications will develop and change, to continue to fit in with our new digital world. 2016 was an important year for data protection. Although many marketers still find it hard to believe that legislation will determine to whom they can and cannot send emails, some found out the hard way as regulators across Europe dealt out some significant punishments. How up to date is your data protection knowledge? Do you remember the implications of these things that happened in 2016? Check out the review of data protection in 2016 by Osbourne Clark to find out more about what happened last year, and how it will change your marketing in 2017. Sadly, MMG Publishing has decided to call time on Electrical Sourcing, with the January / February 2017 edition to be the last one published. Always a smaller publication to it's big sibling, Electronics Sourcing, the closure of the title shows how difficult it is for publishers to take an idea and create a franchise of titles from it. Mark Leary, the publisher at MMG told us, "Electrical Sourcing has not followed the same successful momentum that the other MMG publications are generating and has not been covering its own production costs for quite a while. With limited sales income it is no longer viable to continue publishing." The good news is that the editorial content for Electrical Sourcing, such as industrial automation, sensors, lighting, box build and enclosures will be merged into an even stronger Electronics Sourcing. Do Engineers Really Care About Time-to-Market? 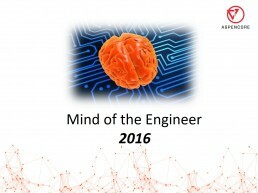 The 2016 Mind of the Engineer survey covers many aspects of the electronics engineering industry, and here at Napier, we took an in-depth interest into the results, presenting our clients with the most significant and interesting outcomes of the survey. One feature which really stood out were the results involving the responsibility of profitability. It seems directors do not believe engineers or engineering managers should be responsible for profitability of their company, as 66% of respondents believed profitability was the primary responsibility of corporate management. This is particularly interesting as there seems to be so much focus from electronic component vendors on profit-related messages such as time-to-market. With such a high percentage believing profitability is a primary responsibility of corporate management, it's interesting to analyse why suppliers hold such a different view to this matter. Obviously engineers make many decisions that have a potential impact on profitability, and anyone who has talked to this important group knows that these decisions are made with careful thought. So clearly these metrics do matter to engineers. In fact 54% of respondents in the survey agreed that management is in alignment with engineers, suggesting that managers take engineers recommendations seriously and engineers are concerned about the issues that managers prioritise. The profitability-related messaging does work, but we're left wondering whether too many companies are focused on second-tier concerns for the engineers that select products. We believe that there are better ways to describe benefits that will resonate more strongly with engineers. Contact us for more information about how we think component vendors should engage and excite this important audience. Even electronics engineers can't avoid social media! The Mind of the Engineer survey 2016, revealed results that everyone at Napier expected: an increase in the use of social media. As the world continues to become digitalized, many no longer have a choice, and it is expected to use digital tools to help yourself learn, and expand knowledge on a new subject. Mobile consumption of technical data has seen a huge rise in the last two years, with smartphones and tablets increasing by 15% in Europe, and a massive 32% in China. This is due to the newest generation taking hold of the world, introducing smartphones into every aspect of life. As social media becomes a must have, engineers are turning to social media sites to ensure they stay up to date. Surprisingly, use of LinkedIn has dropped by a massive 10% in two years. This is particularly surprising as some of our clients have found campaigns on LinkedIn to be particularly effective. 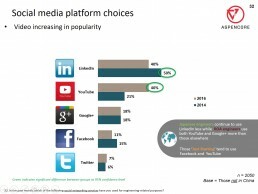 Despite the fall in usage, we believe it will continue to be an important part of any business’s social media presence. As more young engineers are being introduced into the industry, it seems inevitable that engineer’s presence on social media will continue to rise. As social media sites such as Facebook, Twitter and especially YouTube grow in popularity among young engineers, this survey has presented the engineering industry as having new opportunities and therefore having no choice but to embrace the digital age. Elektronik has undergone many great developments since it was first published in 1952. What started out as an 8-pages loose insert in the trade journal funkschau is now an independent media brand. 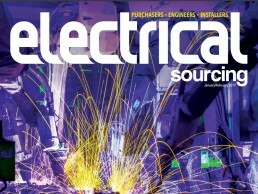 To celebrate its 65th birthday, elektronik is publishing a special anniversary issue in June, including some spotlight features for its readers. elektronik are looking for readers to contribute photos of the Journal in unusual places, as well as searching for the biggest elektronik archive (apart from the one housed at elektronik’s headquarters!). Contributors have the opportunity to participate in the glamorous award ceremony elektronik Products of the Year 2018, which is the annual highlight for the editorial team of the elektronik. Renowned for being a comprehensive platform for expert knowledge, elektronik offers extensive cross-media information for the professional electronics industry, through sharing information in print and online as well as through hosting and sponsoring electronics events in Germany. The trade journal is complemented by 24/7 access to its online platform elektronik.de, a leading IVW audited website dedicated to professional electronics. elektronik is a firm favourite of ours and Napier clients. 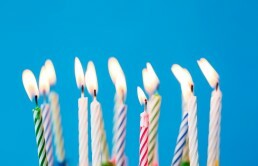 We wish elektronik a very Happy 65th Birthday and look forward to the Birthday issue of the Journal. The popular and successful Electronica Azi publication from Romania has got a new layout and new content to kick of 2017. This recent update to the Romanian publication includes additional info on SMT Equipment and applications as well as more information and tips for Hobbyist applications, bringing the page count up from 44 pages to 64 in the second part of 2017. Electronica Azi has also expanded to offer its extensive readership an international version in English. Aside from content being in English, this international version will include more coverage of embedded systems, analogue and digital circuits, wireless data communications, Internet of Things and Industrial Controls. The new publication will be issued 6 times a year in a digital format with 2 special print editions for Embedded World and Productronica. This is an exciting development for this regional publication. Born in 1957, Selezione di Elettronica is celebrating turning 60 this year! In June, a special hardback edition will be published and distributed to their readership, totalling more than 10,000 contacts. In this anniversary issue, Selezione di Elettronica will cover the technologies that have shaped today’s electronics industry, as well as discussing the challenges faced today and in the future as the development of the IoT and IIoT significantly impact markets sectors, including distribution. We wish Selezione di Elettronica a very happy 60th birthday and look forward to reading the special June edition. E&E Kompendium 2018, the annual reference book for electronics & electronic development is looking for technical papers for its 2018 edition. The E&E Kompendium is a crucial source of knowledge for specialists and engineers involved in the development of modern electronics products as well as executives, decision makers and technical managers in electronics & electronic development. Elektroniknet.de, the online publication from WEKA journal elektronik, has developed a strong following from the electronics industry. WEKA also publishes the famous Markt&Technik, elektronik automotive and DESIGN&ELEKTRONIK, and with these publications serving distinct yet overlapping market sectors, elektroniknet.de have developed a new online business network that reflects these industry cornerstones. To better support the individual needs of these sectors, elektroniknet.de have split the online content for these respective publications and have created websites for each. These new sites: elektronik.de, markt-technik.de, design-elektronik.de and elektronik-automotive.de have a new layout and have a fully responsive design, making all their content accessible from mobile devices, perfect for catching up on the latest news on the go. 25 editors are now working for this new business network, making it the largest professional electronics business network in the world. To date the performance data of this new network is impressive Likewise impressive with 13,82 million page impressions annually (IVW-Online 08/2015 – 07/2016), nearly 40,000 news, product and professional articles, as well as 12,000 companies in the comprehensive supplier directory. We look forward to working with these new online platforms and wish them all the best with the business network! Siegfried Best still working in "retirement"
I was amused and delighted to receive an email from popular journalist Siegfried Best. In it, he told me "I'm now in the fifth year of retirement – and I feel fine." Although it's great to hear that he's doing well, I couldn't help smiling when he reminded me that he is still taking on freelance work, particularly the translation of content from English to German. It's fabulous he is still so enthusiastic, but clearly he hasn't understood the concept of retirement! If you're looking for a German freelancer, contact me, and I'd be happy to put you in touch with Siegfried. WNIE Live announces alliances to strengthen their offering as the UK’s only dedicated Electronics Expo. WNIE Live have announced that two additional events will be running alongside them in the same hall on the 9th and 10th May 2017 at the NEC in Birmingham. EMC UK and The PXI Show will incorporate their events within WNIE Live and deliver exhibitors, technologies and technical content to the existing event. By expanding the range of exhibitors and technologies, these events complement the existing footprint of WNIE Live and will allow visitors the opportunity to see the widest range of products and services in the electronics sector in one central location. EMC UK is an event and conference previously run at Newbury Racecourse, the show will have a dedicated section on the floorplan and will run a separate high-level paid for conference alongside the Expo. The PXI Show will return again for another year and showcase the latest technologies and offer free seminars each day. Supported by the all new ‘What’s New in Electronics industry hub’ this expanded show offers exhibitors the ultimate platform for engaging with the whole industry and visitors a one stop shop to meet key decision makers. 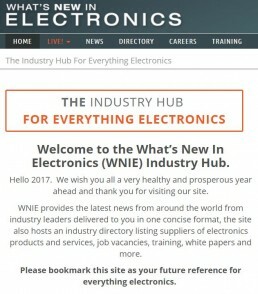 Since the launch of the new and independent industry hub ‘What’s New in Electronics’ (WNIE) in July, traffic to the site and engagement with industry has been strong and consistent. Posting a variety of news and updates daily, WNIE is receiving over 20,000 unique visitors each month and over 100,000 page engagements. Supported by a monthly newsletter reaching out to over 80,000 contacts and an ever growing social media following of 8K +, this platform allows contributors to reach a proven and professional network. Unlike magazines, any company can send updates or add their company details to the industry directory without spending any money. Of course, with the volume of news received and extensive listing of suppliers – there are ways to improve your inclusion. As the site evolves there are new elements being added onto the site and into the newsletters. The latest additions include “WNIE TOP PICK” and “WHAT’S NEW WEDNESDAY”. “WNIE TOP PICK” – the WNIE team will select a story which has grabbed their attention. For example, it could be a ground breaking initiative/product or a success story. The story selected as “WNIE TOP PICK” will benefit from highlighted branding on the site and will have an increased chance of making the monthly newsletter. “WHAT’S NEW WEDNESDAY” will be an online campaign targeting social media followers and will highlight key industry stories, repost of the “WNIE TOP PICK” stories of the previous week and doing shout out announcements to companies and brands supporting the hub. The introduction of a weekly competition supported by different sponsors will offer a prize in return for PR. It will also announce new recruits to our LIVE Expo. To find out more about how to get involved with WNIE contact Claire on [email protected] or call + 44 1428 609 382. 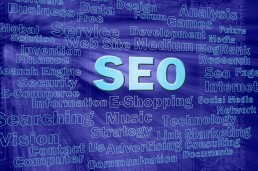 Why don't we SEO contributed articles? I recently talked to Ian Poole, editor of Radio-electronics and Electronics Notes and he started to mention the lack of search engine optimisation (SEO) that is done on contributed articles. He told me, "As a general comment, virtually all articles sent in by companies and agencies are not optimised sufficiently, if at all. As a result they do not do well on the web." They look only at the company message and not what people are looking for. This is a pretty damming indictment of article writing. So what can we do to get better? SEO is pretty straightforward. Target relevant keywords and write content about them. But the problem is that contributed articles are sometimes still written using the same process that was used for print publications: think of a topic, write an article and cap it with a clever headline. This, however, doesn't work for articles that are being placed online. You've really got to think about the content and the headlines to make sure it is likely to appear in the SERPs. Even with good SEO, you might not see immediate results: Ian cautioned that, "Any submitted articles will not gain traction with Google for a while." Interestingly, Ian thought that there was a lot of opportunity to get engagement on mobile devices. He saw people reading articles on small screens, but there is one thing that can kill the enthusiam of a mobile reader: overly complex diagrams. Ian believes that, "Any images for web articles must be able to be viewed on a mobile device," which he defines as being able to be read when compressed to 320 pixels. With SEO likely to take some time before it bears fruit, social media is important to get initial traction. Here's where things get a bit more complicated: effective headlines on social media are much more like headlines that would have been written for print: it's not about getting an algorithm to rank the story highly, it's about getting a reader to click. So have fun on social media: be creative and think of clever ways to encourage people to read your content. One bugbear of Ian's is the lack of enthusiasm for sharing content on social. He says few people in the companies for whom the article is written (and sometimes in the agency who represents them) share articles. There's such an opportunity to increase visibility by getting more people to share your content, particularly those in sales, applications and engineering. Next time you write an article, think about what you're trying to achieve. If it's to enable people to find the content when searching, make SEO a priority and not an afterthought! One of the most common questions we get asked by clients is "How do we compare to other clients?" Knowing whether your campaigns perform better than similar companies running the same tactics is a really useful indication of the effectiveness of your marketing activities. Often, however, it's hard to get benchmarks against which you can compare. No one likes sharing their stats - at least not before they know they are in the top quartile of performance! LinkedIn is one platform where we've seen significant success when both working for clients and promoting the agency. But it's hard to know whether the campaigns are doing well as there is fairly limited data available. So I was delighted to see a blog post from our LinkedIn sales consultant, Felim McMahon, that explains Benchmarking and Optimisation for LinkedIn Advertising. The numbers give some interesting insight. Anyone who has experience of running LinkedIn advertising will know that the text ads get far fewer clicks than sponsored content (about 1/20 according to Felim's metrics). It's also interesting that you should expect around 80% of your InMails to remain unopened. The great thing about having these stats is that you can quickly compare the likely CPC for campaigns using the three different paid approaches on LinkedIn. Obviously results will vary by industry and type of campaign (upper v. lower funnel), but Felim believes that these numbers are pretty good indications of what you should expect, and if you're not achieving these metrics then it's a sign that there is something wrong with the campaign. Our experience suggests that in B2B tech, these figures are pretty good approximations of what you should expect to achieve.